Curbside Splendor, the Chicago Writers’ House, and the Chicagoan ban together at the Empty Bottle on December 9, from 2 to 7pm, for a Pop-Up Book Fair! The Chicagoist lavished Anobium with love in this notice. Should you be around 1035 N. Western Avenue in Chicago with $5 (free if you RSVP!) 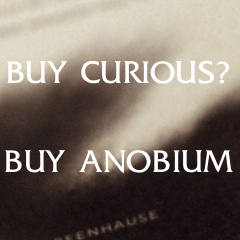 on the designated date, put Black Friday to shame with Anobium!